The Toronto Transit Commission (TTC) will activate new external cameras on its road-based vehicles, including buses, streetcars and Wheel-Trans, on January 28th, 2019, the commission announced on Tuesday. These external cameras face outwards from the vehicles to capture footage from outside. The TTC says these cameras will help with any investigations involving its vehicles, as well as improve public and customer safety. The cameras will be mainly used to record vehicle-pedestrian and vehicle-vehicle events, says the TTC. The TTC also outlined how camera footage will be used in corroborate with Toronto Police Services. For law enforcement recording requests not associated with the transit system, the TTC will secure the video “upon notification” until a production order is received. However, extreme circumstances such as investigations regarding terrorism and immediate homicide cases will forego a production order. The TTC will keep streetcar and bus footage for three days, and Wheel-Trans footage for seven days. 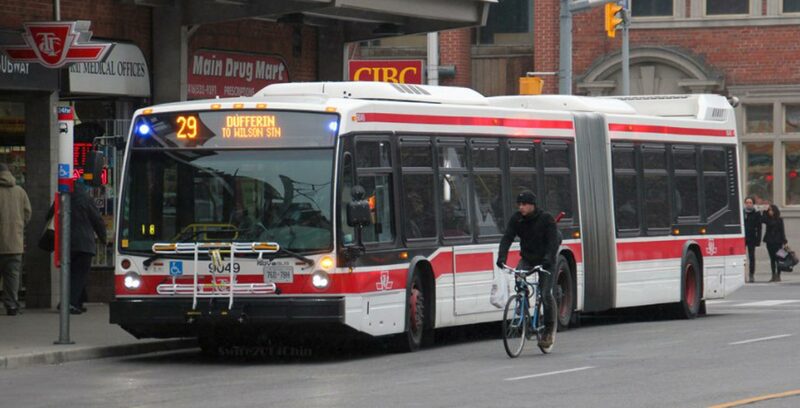 Footage that’s not downloaded will be rewritten in the same manner as the internal cameras on TTC vehicles.